Here you will find true paradise. Enjoy the beautiful sunsets in the evening. Happy hour is served at the Blitz Bar. 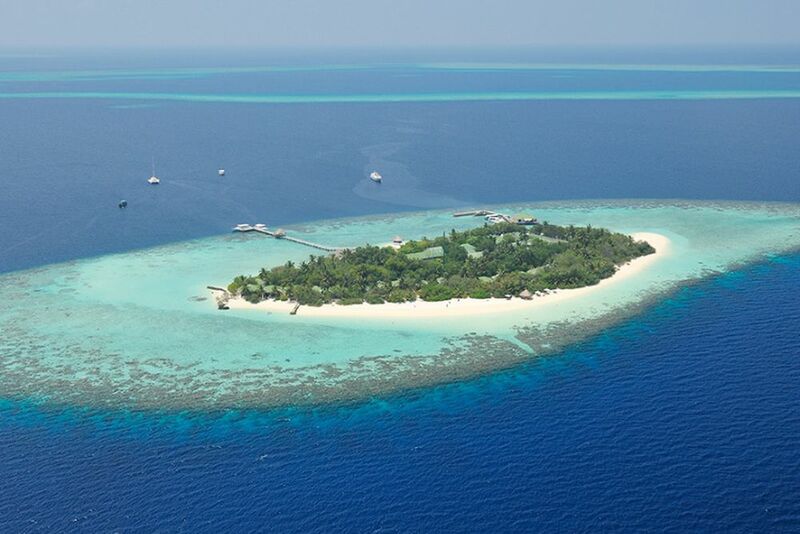 A beautiful view even from a distance: The Eriyadu Island Resort. Dine with sand under your feet for the perfect holiday feeling. Forget everyday stress by the pool. 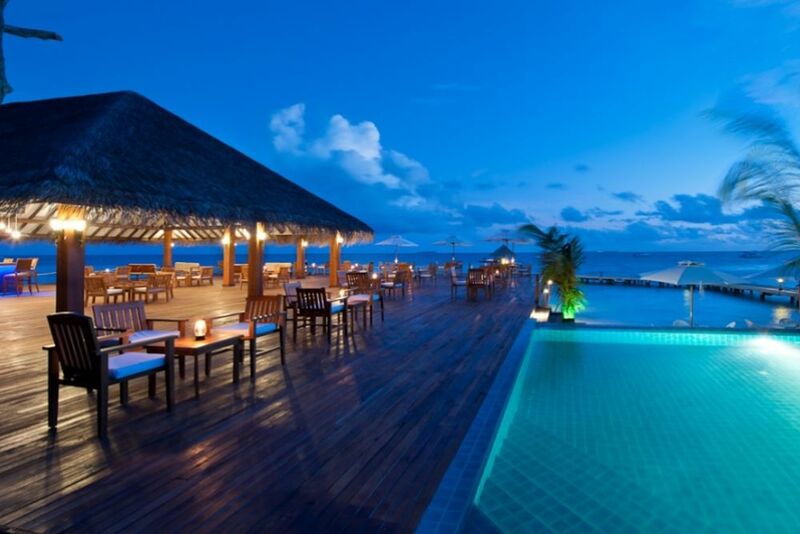 Even in the evening, the pool offers an unforgettable view. 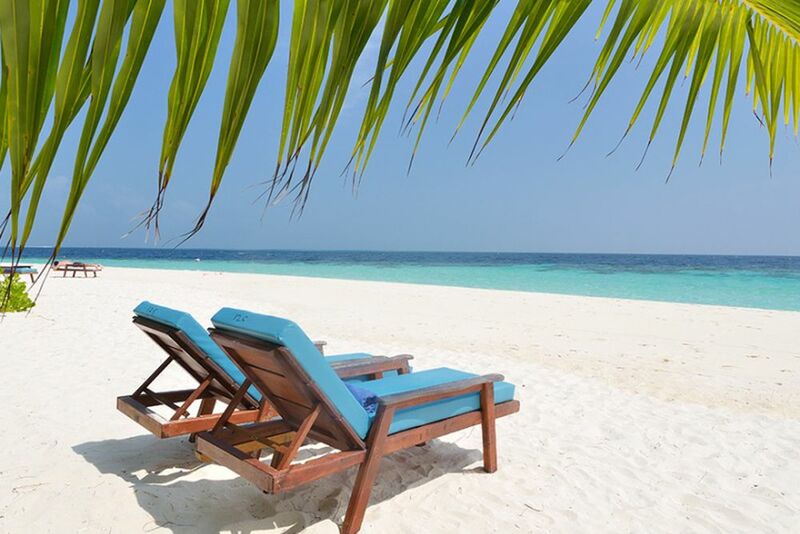 Enjoy the peace and relax on the beach. The wonderful massages in the bougain spa area offer ultimate relaxation. 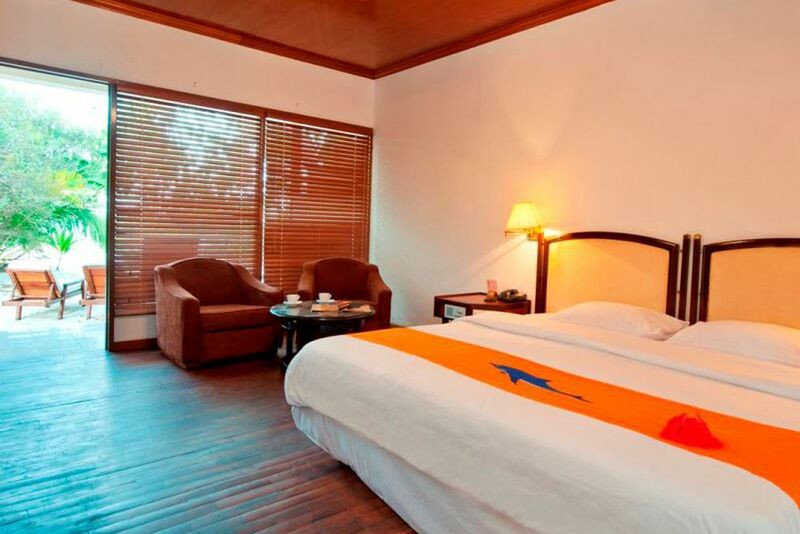 The rooms are lovingly decorated in bright tones. 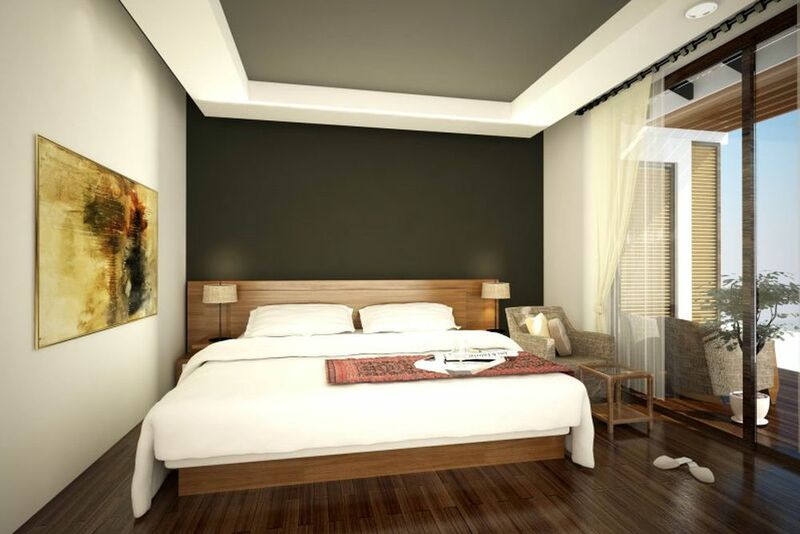 Here restful nights are guaranteed. Wake up in the morning with an unforgettable view. Color contrasts make these rooms very inviting. 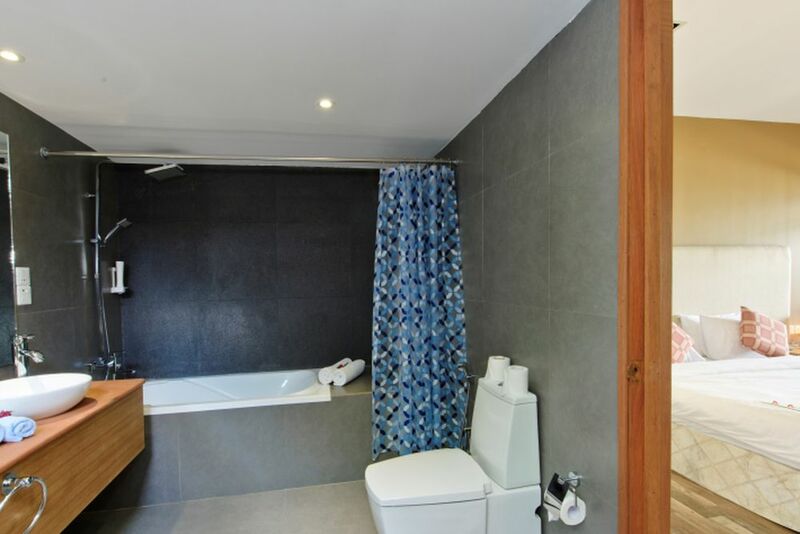 The deluxe room offers plenty of space. 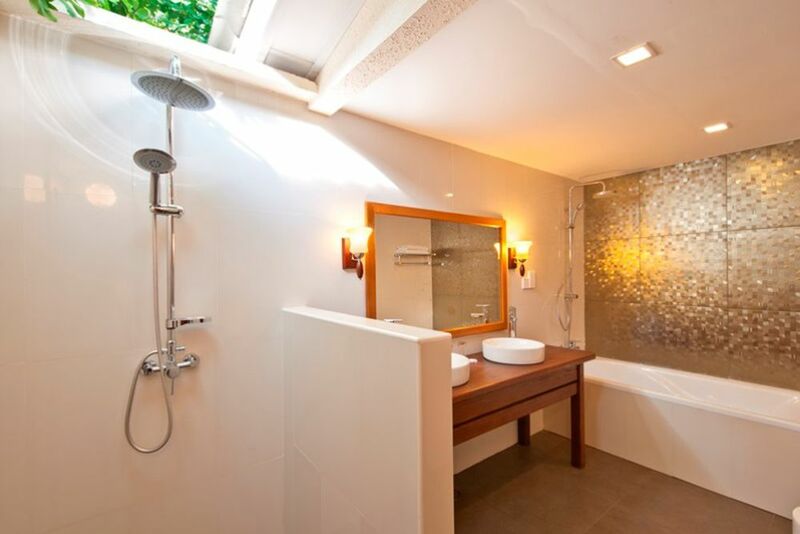 The cozy bathroom is perfectly harmonized with the interiors. 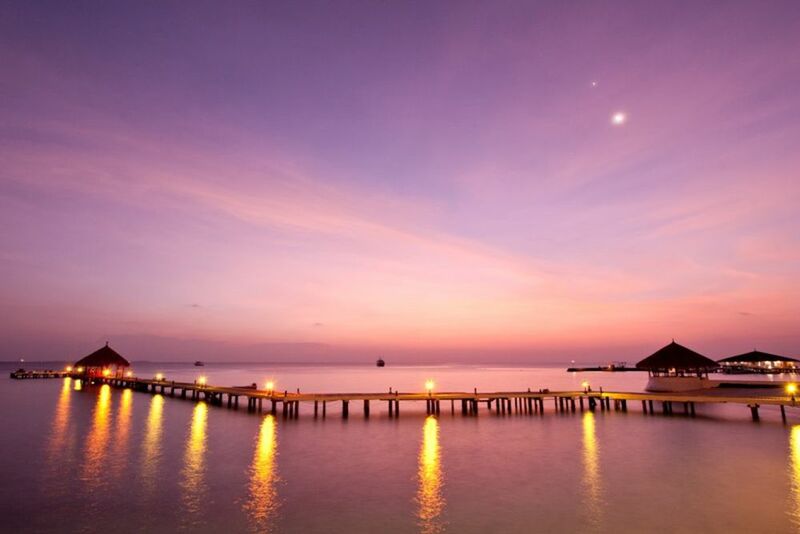 One of the last authentic Maldivian islands, Eriyadu Island Resort is a timeless sanctuary waiting for you! 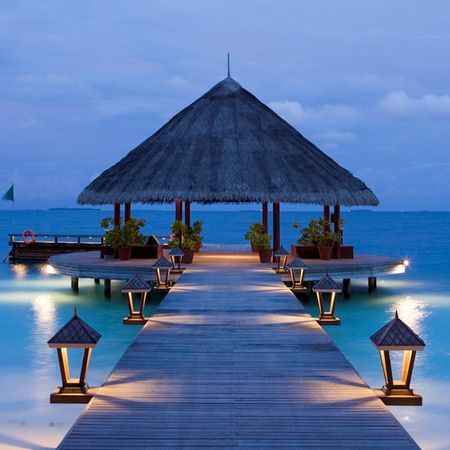 Located in North Male Atoll lies the beautiful Maldivian island resort, Eriyadu! Surround yourself with immaculate white sand beaches and a fine lagoon, home to the best house reef in the atoll. Relax on the tranquil beach or enjoy adventurous activities above or below the surface! Eriyadu Island Resort is a small and unique island combining the typical Maldivian style of warm hospitality in a laid-back atmosphere. Respect for the native nature and Maldivian identity beng of the utmost importance, making it one of the true remaining Maldivian islands. 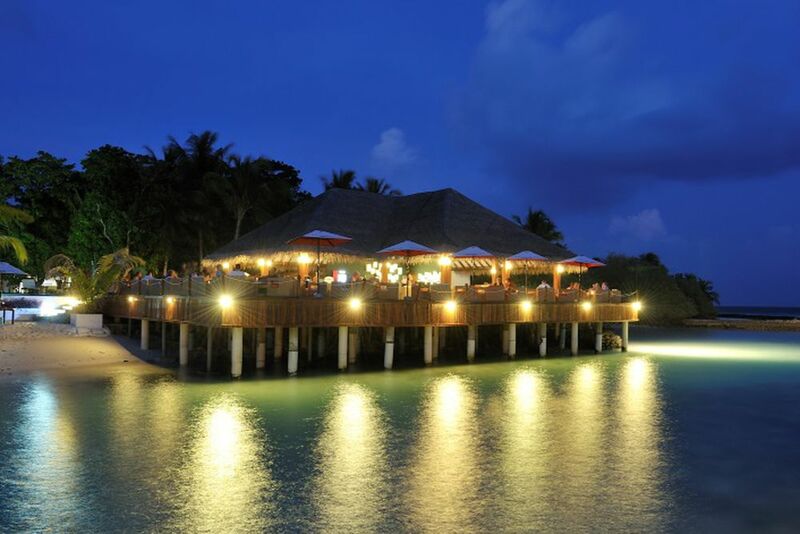 Rediscover tranquility and serenity when visiting the Eriyadu Island Resort. 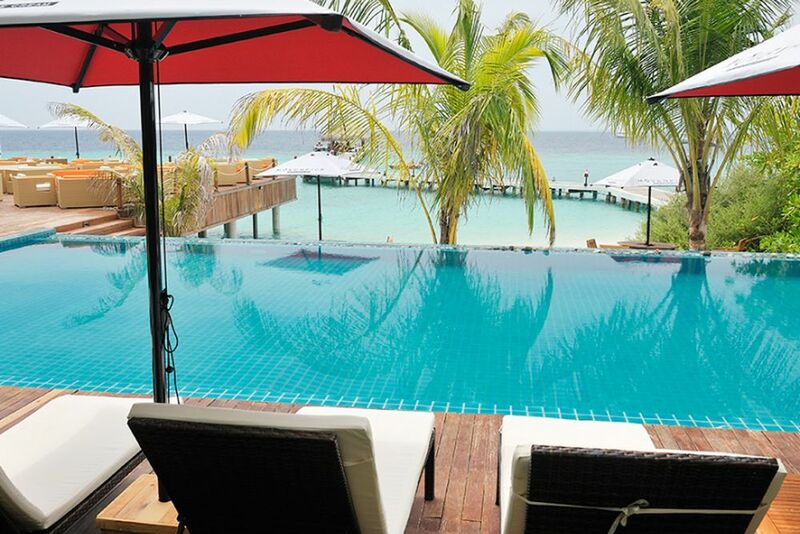 Eriyadu Island Resort strips the island of any traps of urban living and opulence. Untouched and unperturbed, the resort is a sanctuary where you can unwind languidly as each day slumbers into dusk. Guests can enjoy the services of the swimming pool, Euro-Dive Center, garden spa and a souvenir shop, laundry service, a mini library and Internet facility. The resort lures guests in with its international and continental cuisine infused with the flavors of Asia. 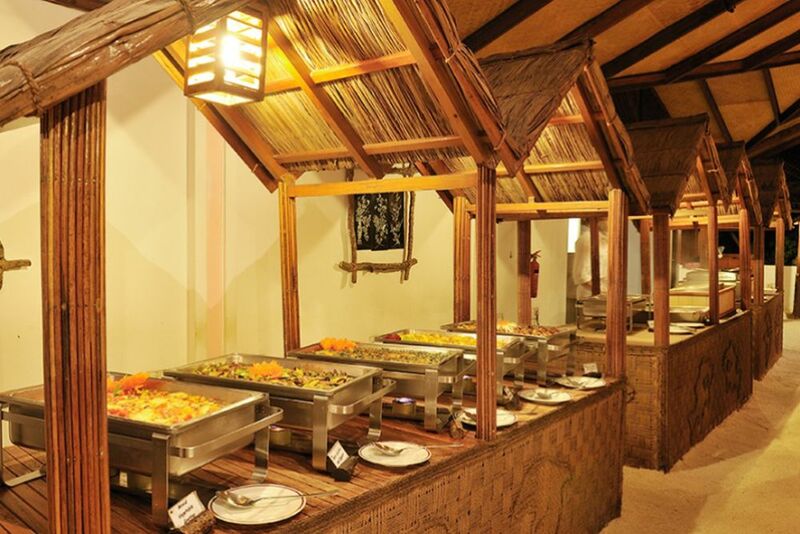 Indulge in the sumptuous buffet meals serving breakfast, lunch and dinner in the main restaurant. À la carte meals can be enjoyed at the Blitz Bar, complemented by views of the sunset over the sea and under the starry sky. 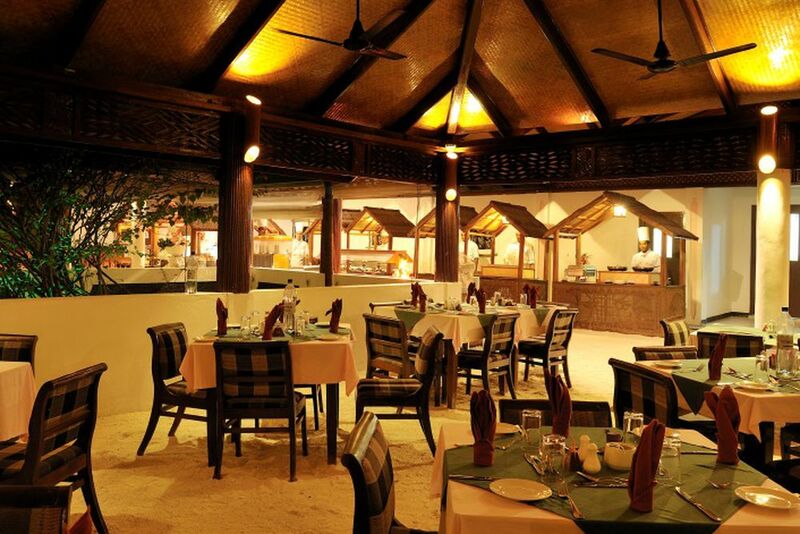 The Anguru Grill spoils its guests with typical fish and seafood dishes that will impress all palates. 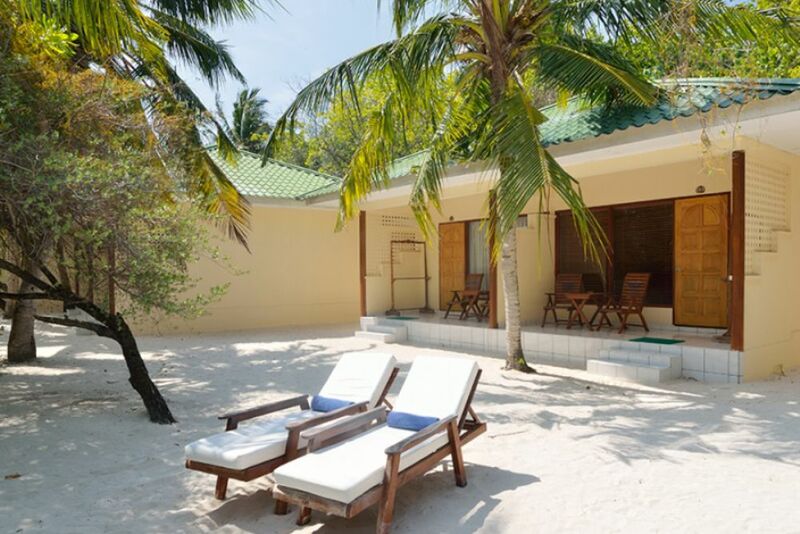 The Eriyadu Island Resort has a total of 60 single or double bungalows, each with direct access to the white sand beach. 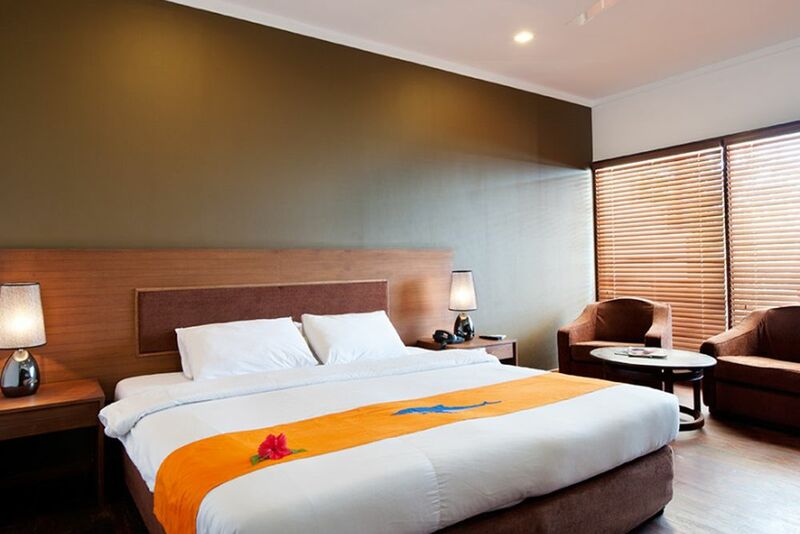 The modern rooms are bright and have a unique ambience. Amenities include air conditioning, satellite TV, sitting area, mini bar, coffee/tea making facilities, Wi-Fi (20$/day), telephone and hair dryer. 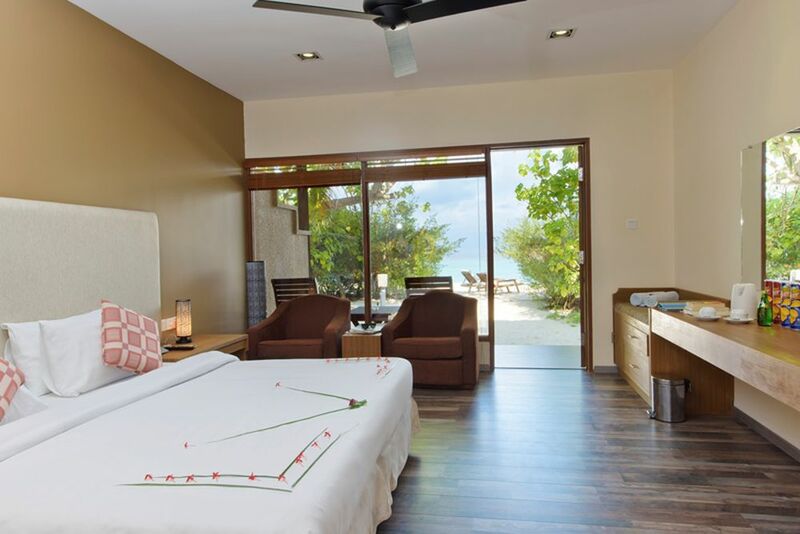 Beach Club Rooms— Commanding panoramic views of the front façade of the entire island, these rooms are just a minute away from the main restaurant and dive school. Take in the breathtaking views from your private veranda or balcony. Deluxe Beach Rooms (54 sqm)— Just a few meters away from the pristine water, these rooms are furnished with two double beds and offer a tropical outdoor shower and tub on its private veranda. Influenced by the rich heritage of international wellness philosophies, Bougain Spa offers guests signature therapies and unique therapeutic experiences that relax and rejuvenate. The exclusive use of natural products in a fresh and pleasant environment allows you to escape from the stresses of reality. Eriyadu Island Resort allows guests to have unlimited access to its fitness center, offering a range of exercise equipment, volleyball and badminton courts. At the diving school, PADI diving courses and excursions are offered around the island! 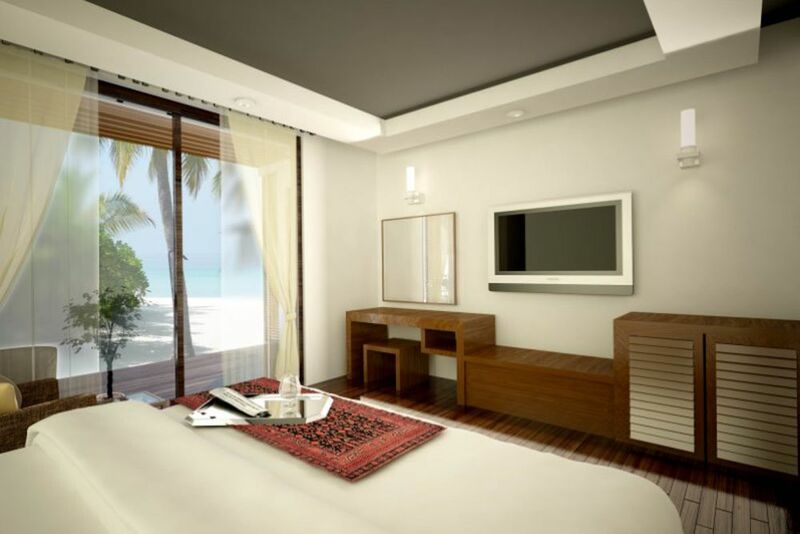 Find yourself cast adrift on an enchanting island where nature and plush comforts await.